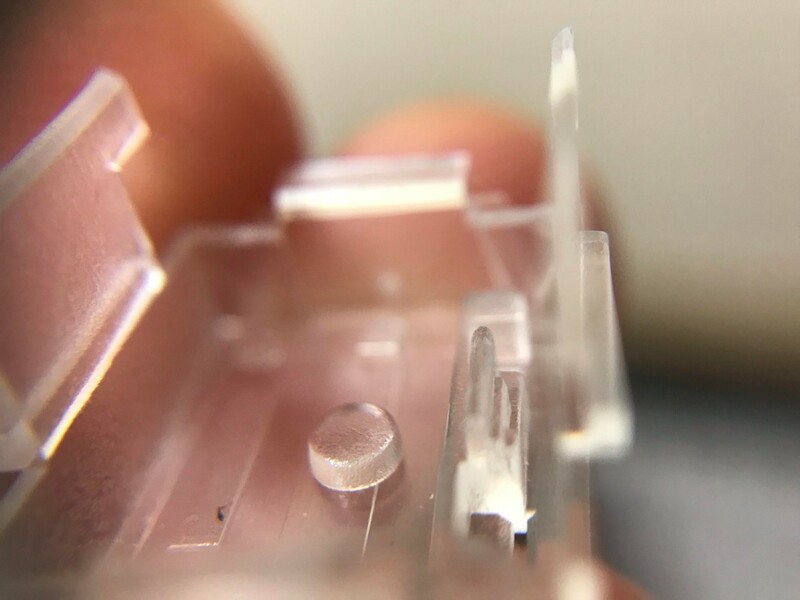 The cutout is about 4.9mm across and the switches are about 11.5mm tall. 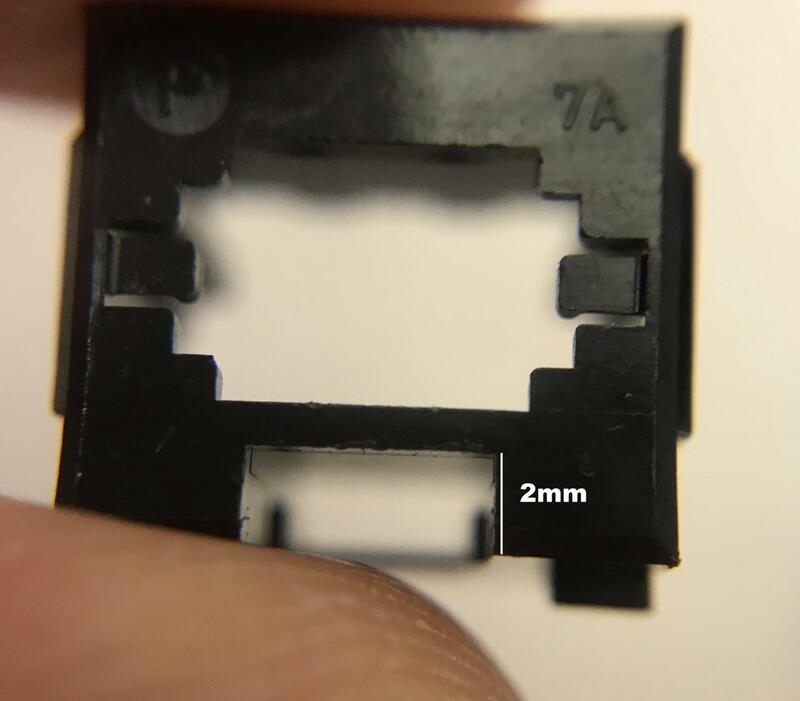 I know I'd have to drill a good sized hole in the bottom housing but that fact aside, I'm wondering what the smallest size available for WS2801 leds is. I suppose I could further modify the led cutout of the top housing to provide more lateral space. But the led would absolutely be limited by how thick it is. 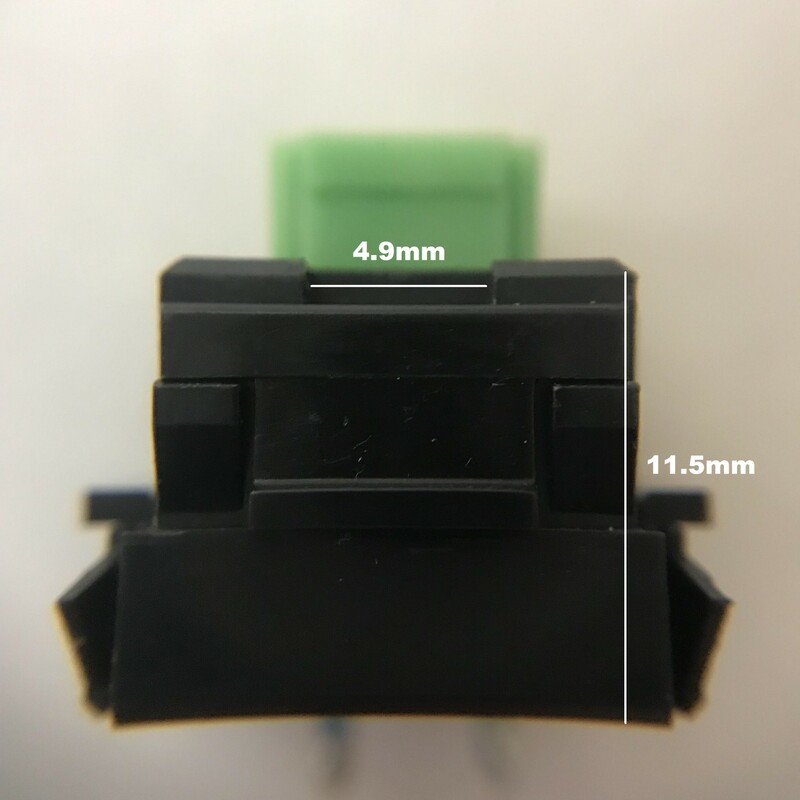 It would have to fit into the (roughly) 2mm slot in the top housing. I suppose they could be a little bit fatter with additional modifications to the switch (e.g. sacrificing part or all of one of the clips). Anyways, this might all be a moot point if nothing comes close to fitting in this space. Anyone in the know on this kind of stuff? Last edited by snacksthecat on 24 Mar 2019, 17:59, edited 2 times in total. 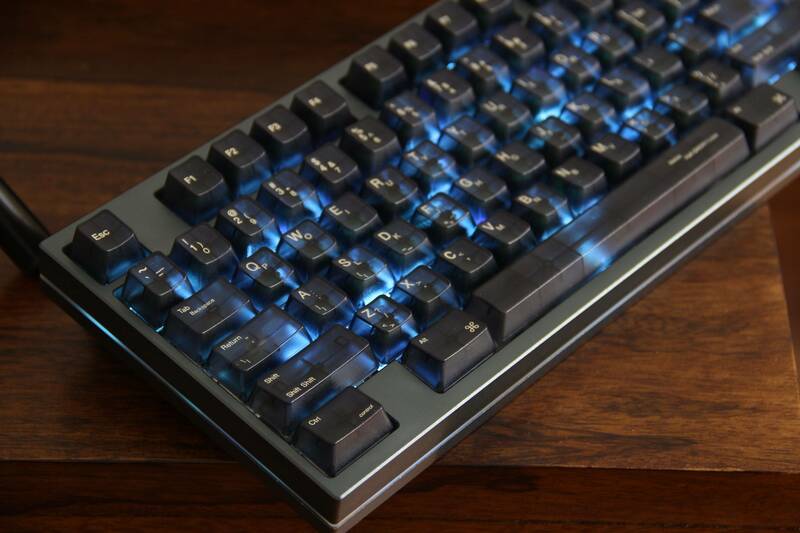 Another (probably more practical) option would be to mount the flat version of those leds on the PCB and use the poly bottoms from Matias switches (counting on the shine through). They have to be clipped a bit to allow the switchplate to fit but otherwise seem compatible. The switch still works, at least (hard to say if this affects the feel or not). In order to simulate what it might look like, I put one of these switches on top of an led and put a shine-through cap on the switch. 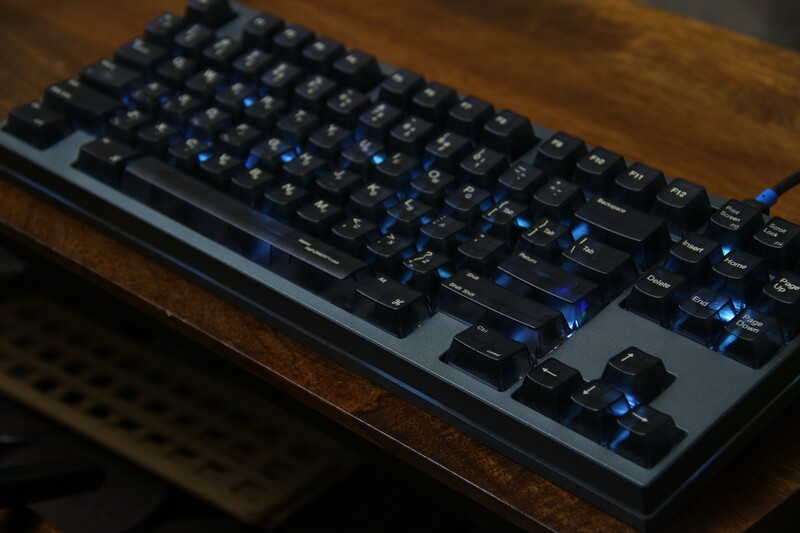 You can see the comparison with a properly installed led in the numlock switch. There's definitely a difference in how much light is allowed through, though I'm not sure that's a bad thing IMO. 1204 / 1206 / 0603 SMD led diodes will fit. You can drive them with something like the WS2801 to make them adressable. 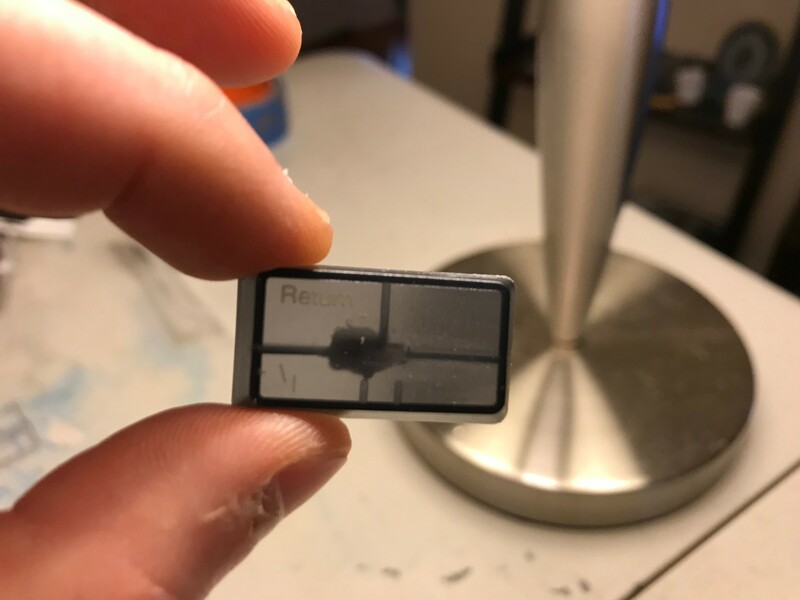 if you want a pre-package adressable RGB led driver, the only package that should work is the 3528/6028 were you could have cutouts of the pcb to fit on the underside atleast what I can think of. Thanks kakan. I think you nailed exactly what I should be looking into. That being said, I'm going to move forward with plan b. 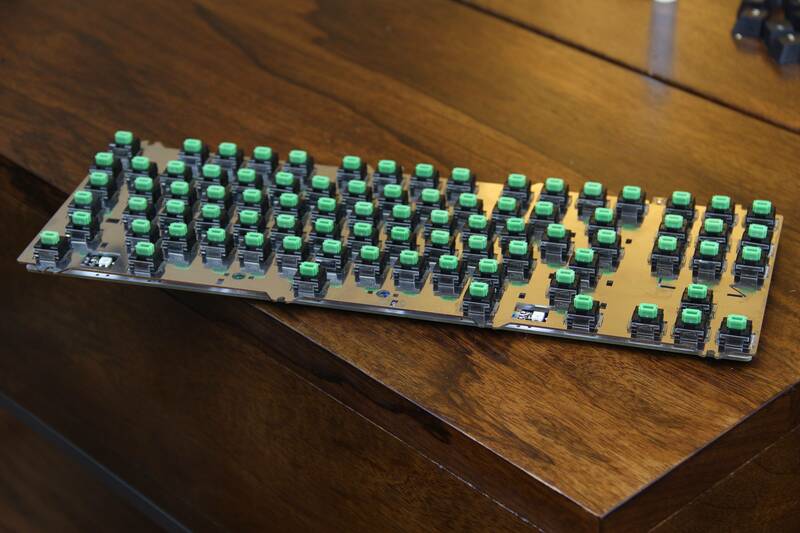 At some point this morning, I decided that I need to build a keyboard for these unique caps. That probably sounds stupid but I'll explain my rationale at the end. 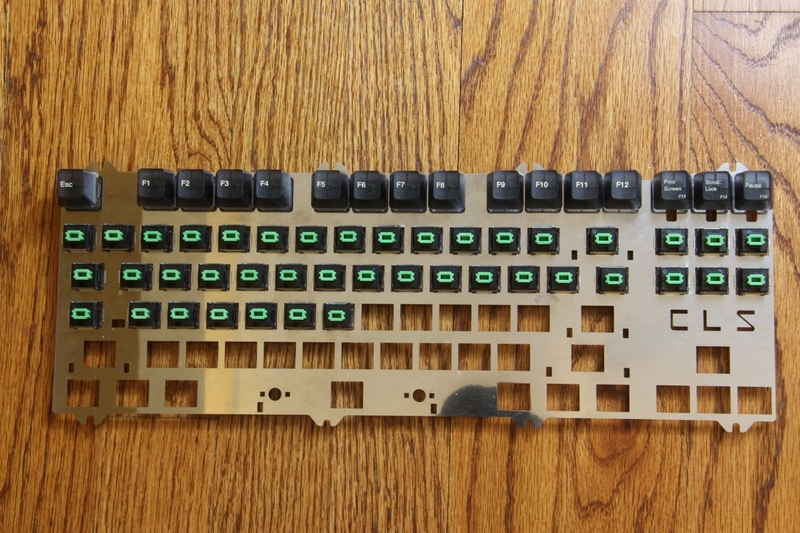 Now, I already have an alps pcb and plate. I'm going to use the case I had picked out for my Xerox project. I think it will look really cool with the caps. Just need to figure out how to fashion some lights between the plate and pcb, but I have some ideas for that. I wanted to shed a little bit of light on what I'm doing to modify the Matias bottom housings. As I showed in the earlier photos, there are some really inconveniently placed pieces of plastic right where the switchplate should go. Since Matias are simplified alps style, it doesn't interfere with the thin little wimpy switchplate that these switches come with. I'm using wire clippers to snip off the bits of plastic. But usually that's not enough, so I also have to take a dremel to it; in order to make as much space as possible. 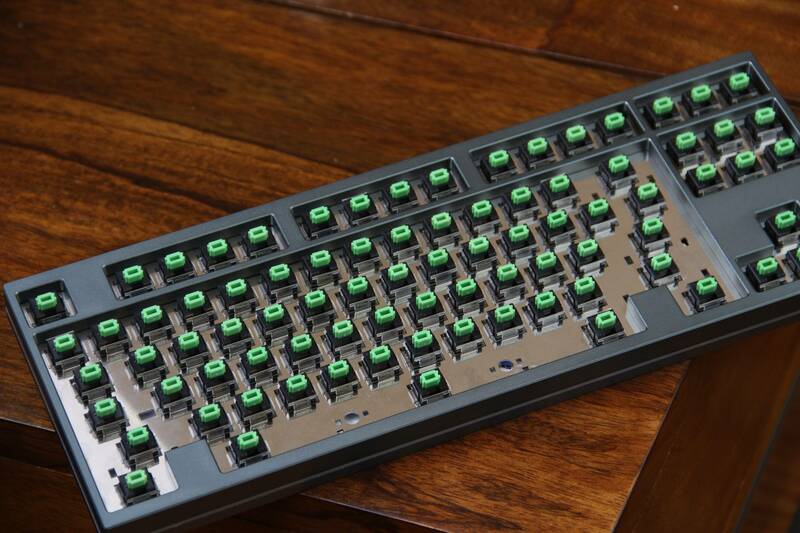 Only then does it fit with the switchplate from these green alps. Here's a video of the process. It's tedious work but hopefully it pays off in the end. People are probably wondering why I'm going through so much trouble for such little payoff. I guess it's because it's the creative aspect of the hobby that appeals to me. 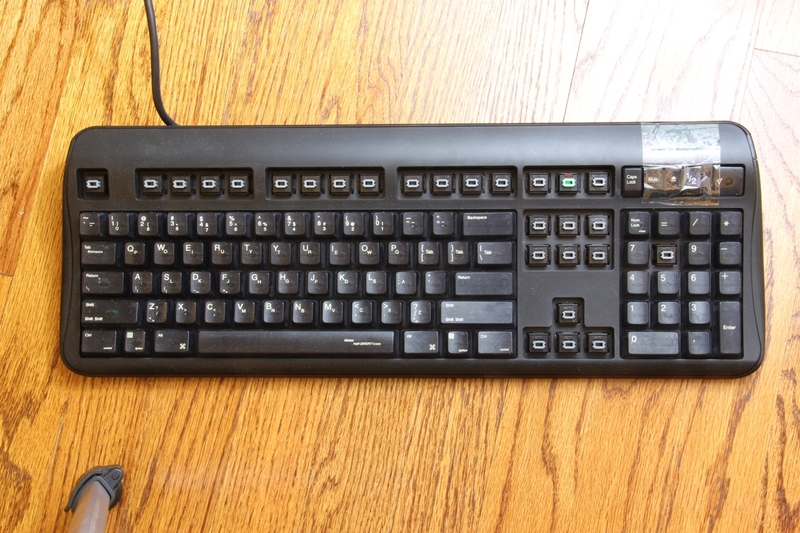 I own a lot of boards and do a lot of weird project, but in reality, I use the same keyboard 99% of the time. I have fun trying out different things even if they don't work out (and a lot of times they don't). So here's another experiment. Hopefully I'll learn some new things and maybe, just maybe, it'll actually turn out to be as cool as it is in my head. First proof of concept is very promising! I have a length of leftover WS2812b leds but figured the quickest way to test would be with a white led strip for cell phone photos. The clear bottoms let a surprising amount of light through, even without the clear tops. I'm also happy with the caps, which I initially thought might be a little bit too tinted. 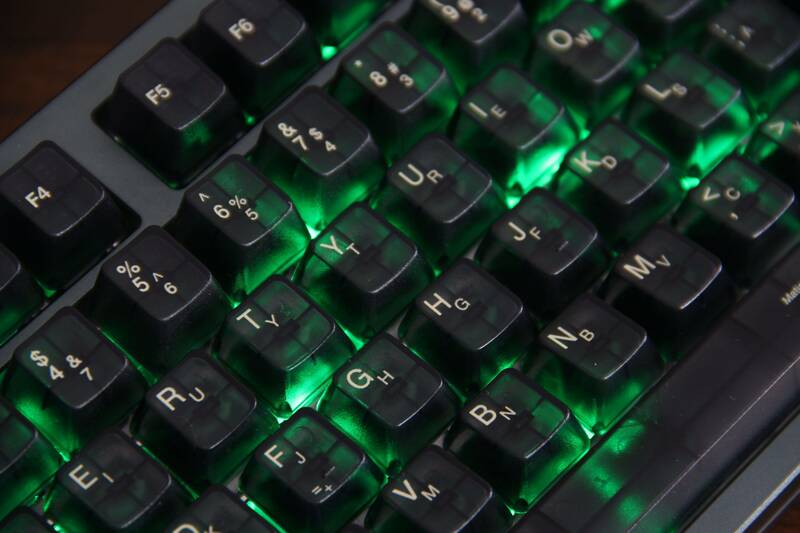 For the next test I'd like to try with the colored leds. I'd also like to fit enough of these switches to fill the board but, man is it time consuming. Ooh, this does look very promising to start! I look forward to the finished product! Okay, a couple updates and a couple questions. First things first, when I tested the pcb leds, only one lights up. Does that mean that one or more of the leds is dead? The MX pcb it came with all leds light up fine. 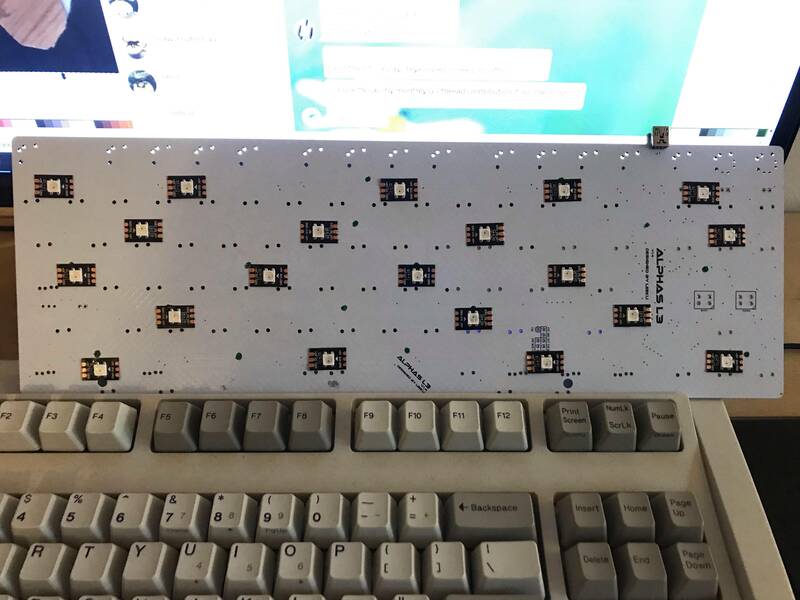 As for the updates I have to report, my plan is to desolder each of the leds and relocate them to the top side of the board. I've circled each of the leds in blue. The board makes this easier by having two through-hole led footprints (RGB1 and RGB2) that I can use to access the flip side. I've circled these two spots in green. 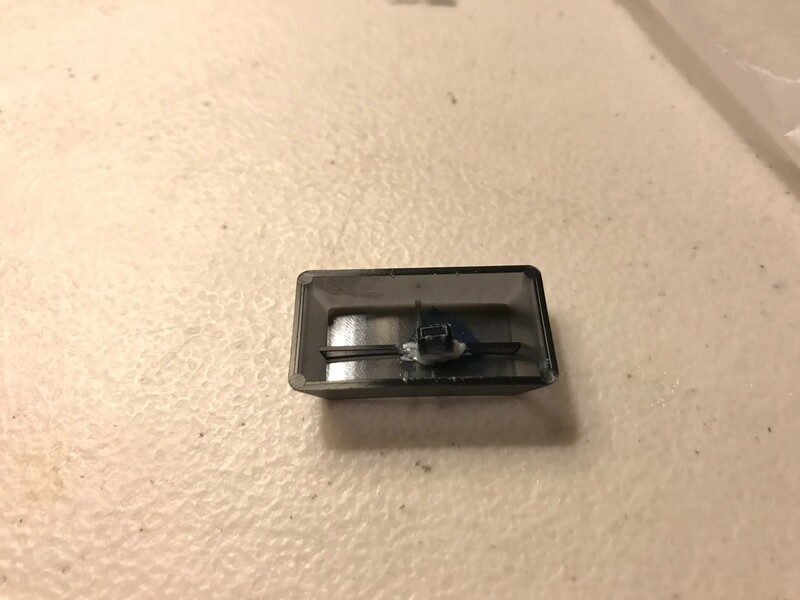 Does anyone know what these type of leds are? I'd like to buy some (preferably in a strip to make soldering easier). 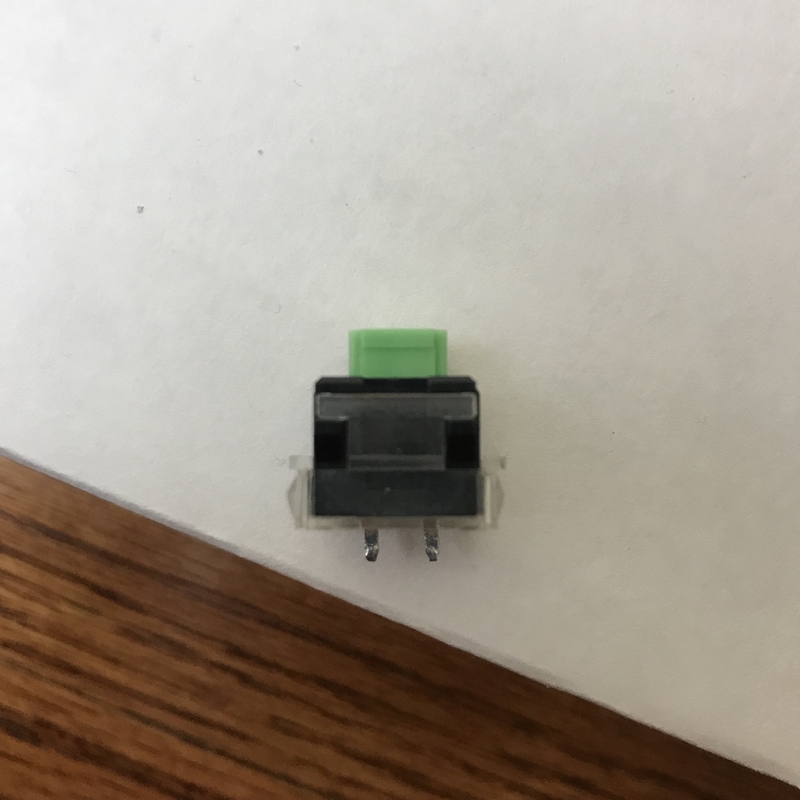 I originally started this thread as a question about WS2801 leds fitting inside SKCL switches. But it probably makes sense at this point to talk about my plan. I knew I wanted to do something with it, but had no clue what that might be. Then I started to get a little bit bored with vintage stuff (and discouraged by some of my dumb purchases) and I turned towards customs as a new outlet. 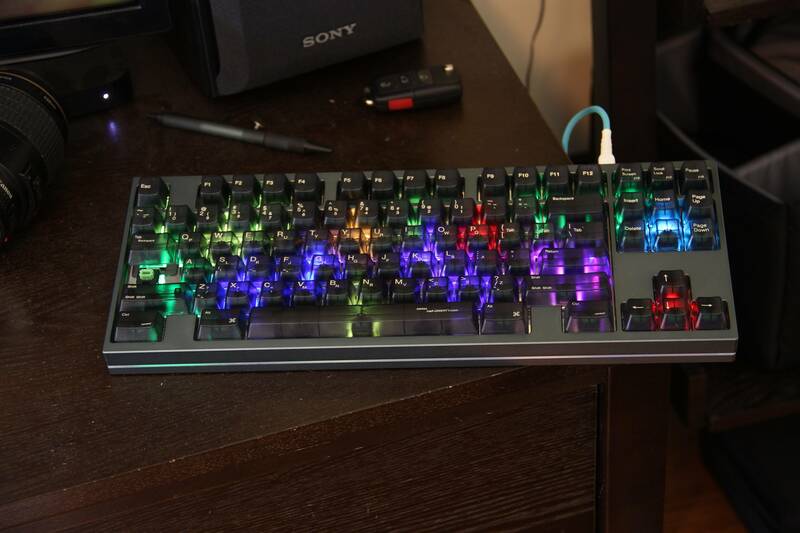 If you would have told me a year ago that I'd be making an RGB keyboard, I would have laughed. But now I'm really excited to build it (if I can). 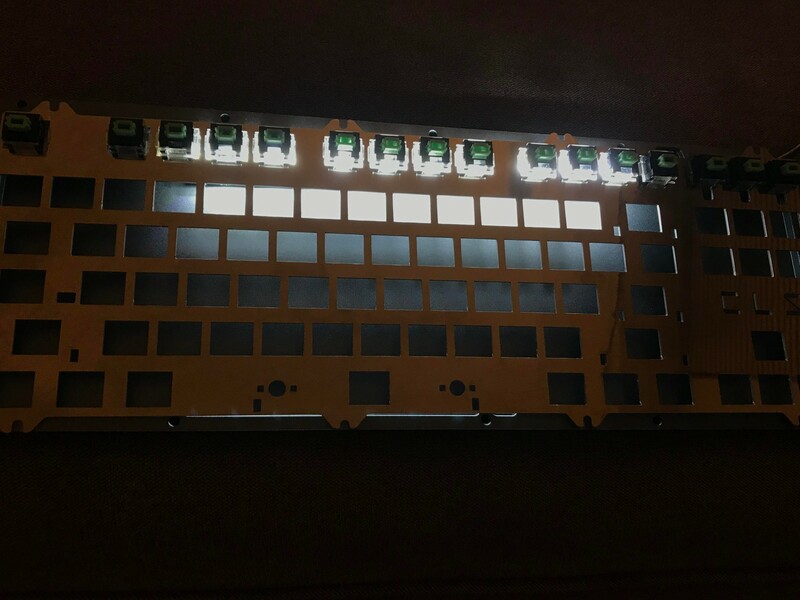 Here's where I am with modding the switches. It's very tedious work. 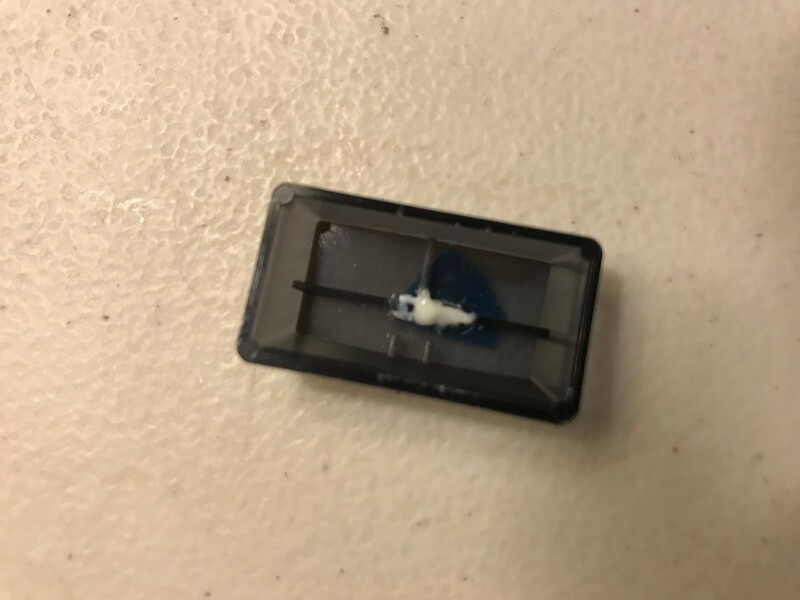 Like I mentioned above, the switchplate from complicated alps doesn't fit in the bottom housing from Matias switches due to a little piece of plastic that gets in the way. Each switch has to be clipped to get rid of as much of that plastic as possible. Using a wire cutter, I'm able to get most of it, but it's usually not quite enough. So I have to dremel each bottom housing. 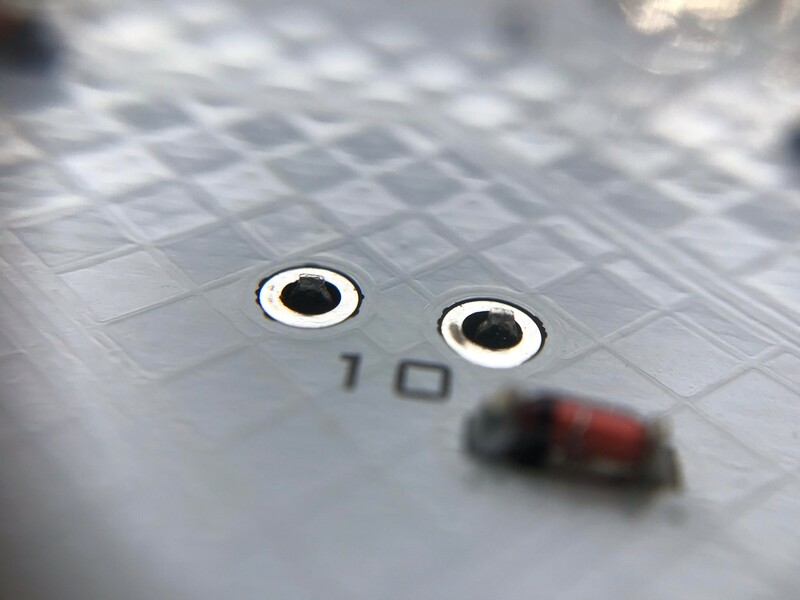 The process of dremeling the bottom housings frequently covers up the holes that the switchplate pins go through. So I have to "re-open" them using an exact-o-knife. It's a real pain, and the reason I only have the patience to do a few at a time. My goal for today is to finish filling that plate with modded switches and do a test with the colored LEDs. 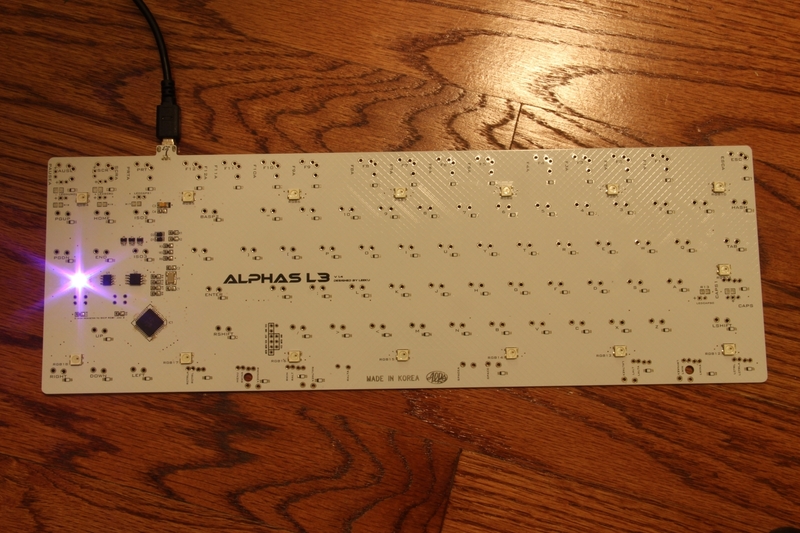 If that goes well, I just need to figure out how I'm going to get the LEDs on the flip-side of the board. I'm prone to mistakes so I'd like to take things slow this time around. Wish me luck. I'll of course be posting my progress in this thread, whether I'm successful or not. Great success! I snipped a single LED from a WS2812b strip that I had left over and temporarily attached it to the RGB1 slot. 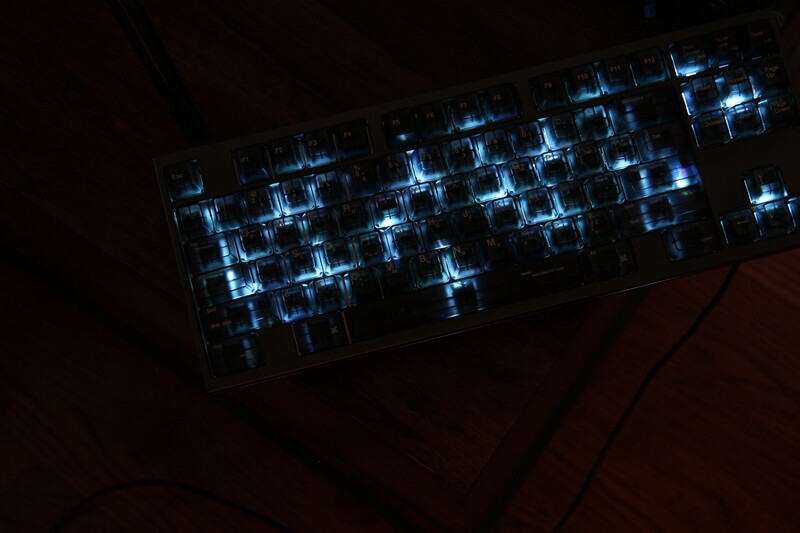 It seems to work and respond to the pulse pattern being sent by the keyboard. 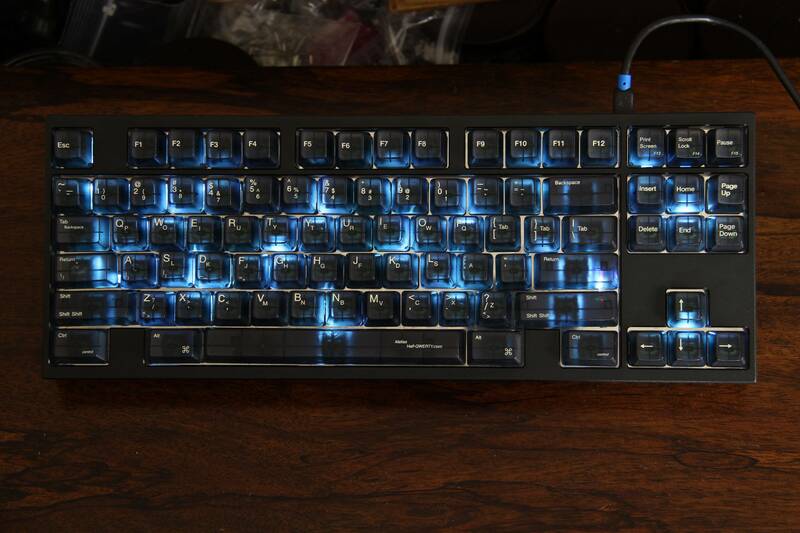 Next step will be getting this to work with all 20 LEDs, figuring out placement, and (the part I dread) finish modding the switches). 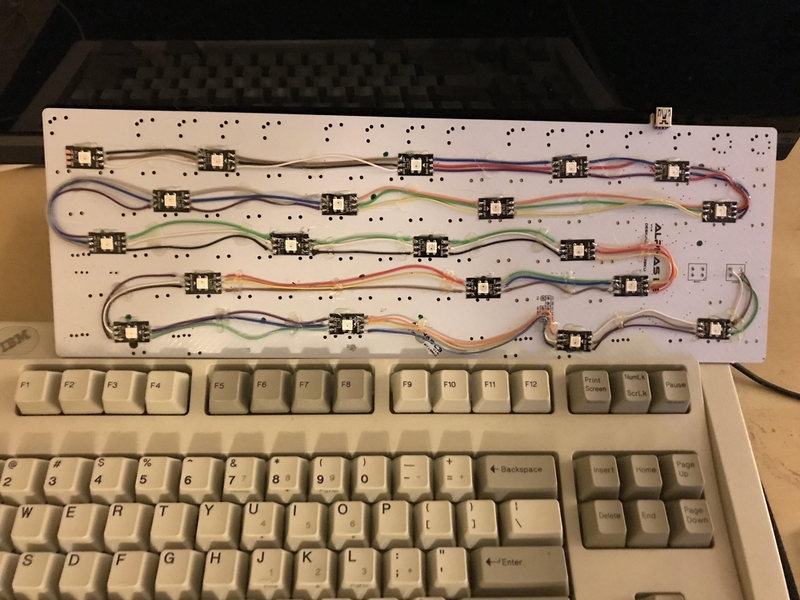 Well, I tested with about half the switches modded and the full color LEDs that come stock on the bottom side of the PCB. A little bit disappointed to be honest but whatever. 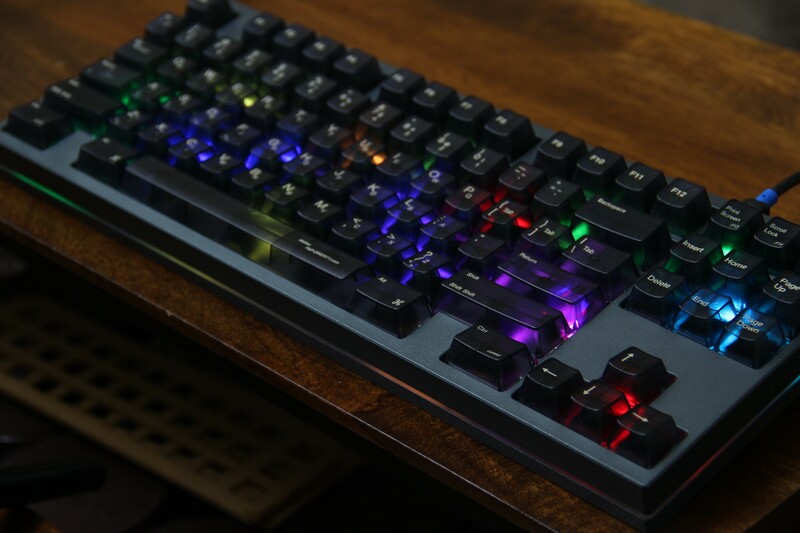 I guess between my hacked switches and the dark tint on the keycaps, this is about as good as I can expect. Hoping to mitigate some of these results by strategically placing the LEDs. 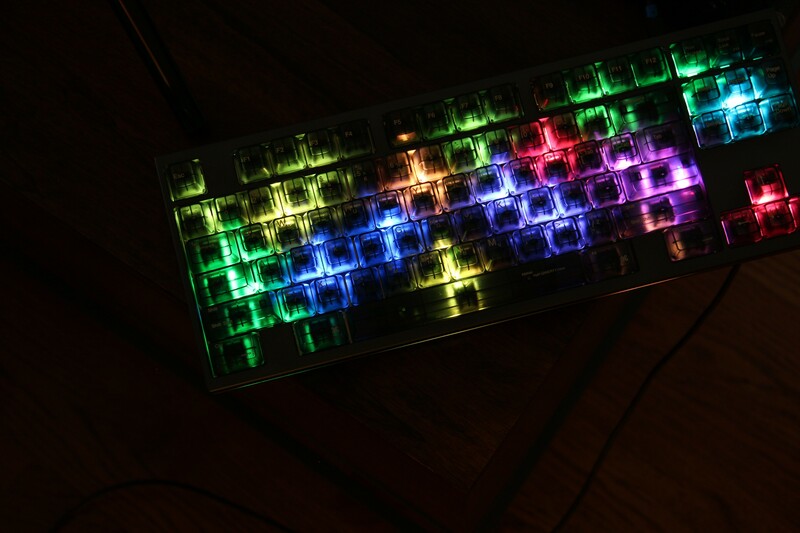 Still should make a cool and unique keyboard IMO. Also, Jigon is crashing when I try to upload a new config so I'm not able to crank the brightness up all the way. Should be fun trying to figure out why that's happening. Any insight would be greatly appreciated. 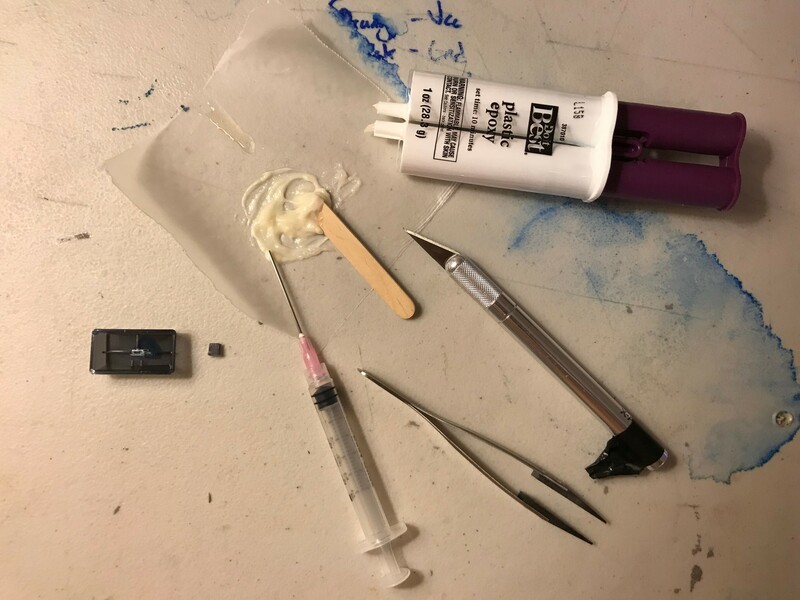 I desoldered all of the old LEDs and started soldering in the SMD diodes. Here's a little clip. Keep in mind I have no idea what I'm doing. Any tips to improve? And now for the part I've been dreading: soldering the LEDs together. Have to make sure not to get in the way of the switches. I'm going to use very thin gauge wire and tack it down in spots with glue. Fingers crossed this works out. To say that I'm ashamed of the quality of work here doesn't really convey my reluctance to post this photo. B nice plz. 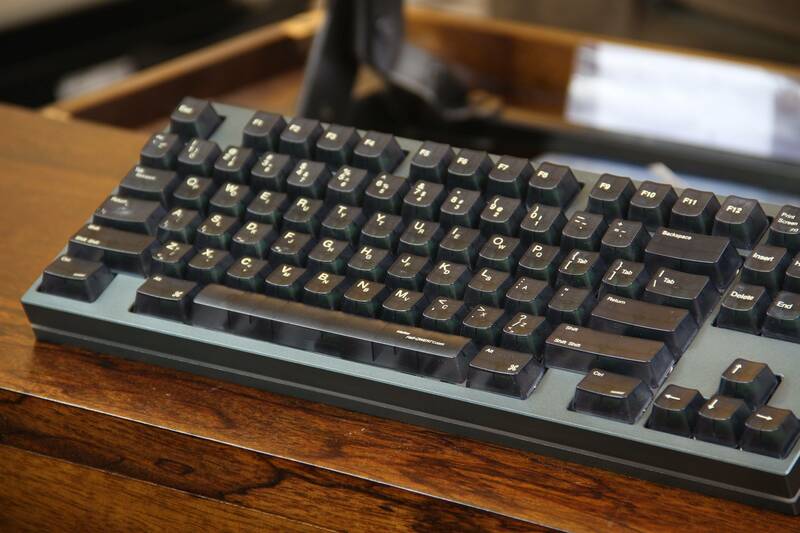 Here's what it looks like in the case but without caps. The clear bottoms defuse the light pretty evenly so that's a plus. Unfortunately the dark caps will interfere but maybe a more subtle look isn't a bad thing. You shouldn't ever look at anything that I have ever soldered myself, then. Most of the switch pins poke out about this much, which I'm cool with. However, a bunch of them fit more like this, which I'm less cool with. Obviously, I hope this doesnt translate into a funky look, and I feel confident that it won't since everything sits flat on the plate. I'm more concerned with the durability issue that this creates. These caps fit pretty tightly on the switches so I need to be careful to remember this fact if/when I remove them. 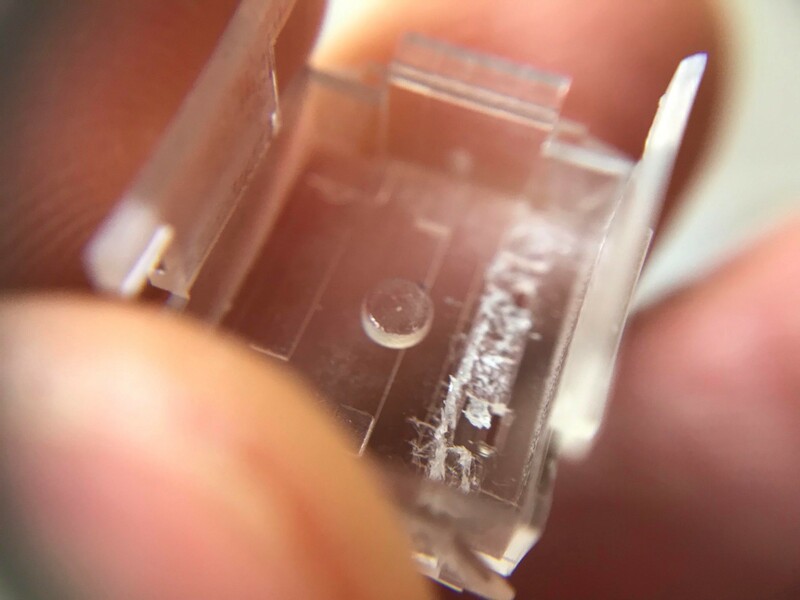 With such little surface area making contact, I need to be mindful if/when I remove the caps to make sure I don't damage or break the solder joints. 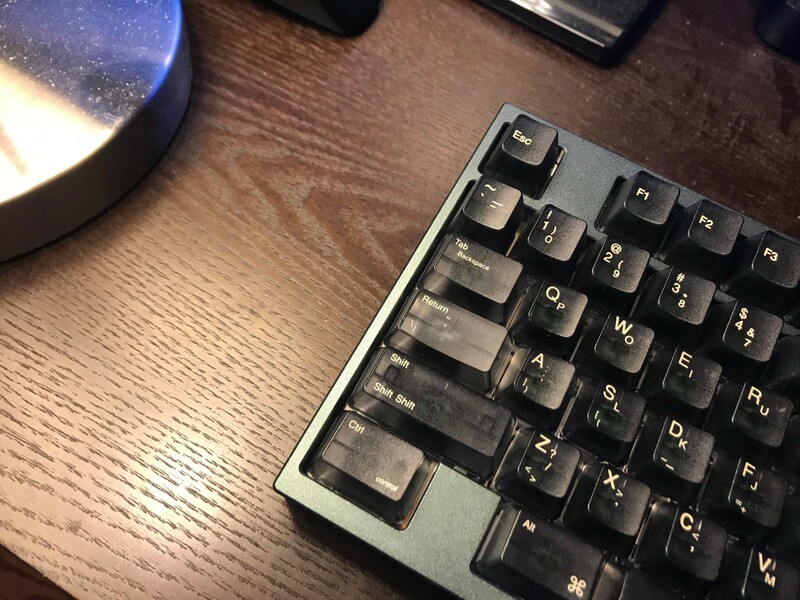 The caps fit really tight on the switches which makes the issue worse. Oh well, I guess I should count my blessings and be happy that this worked at all. 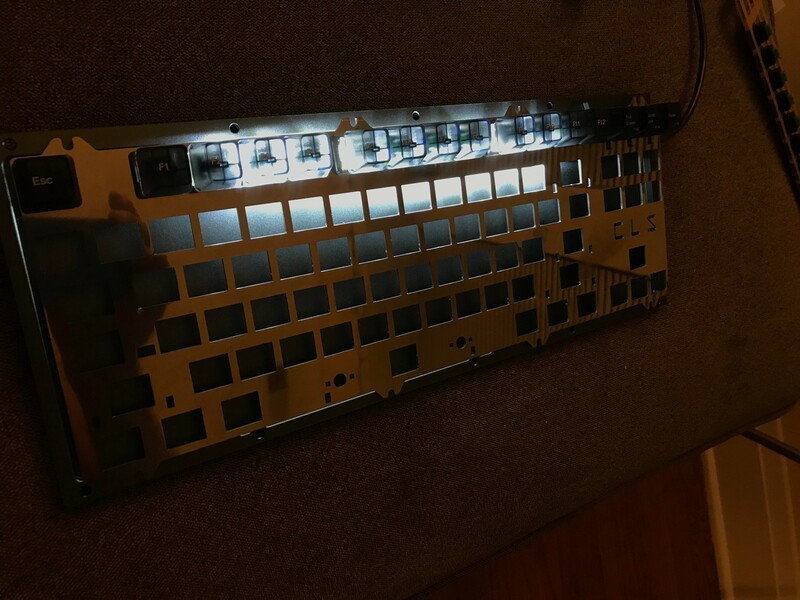 Ran into a couple snags but I was able to get most of the keyboard assembled today. 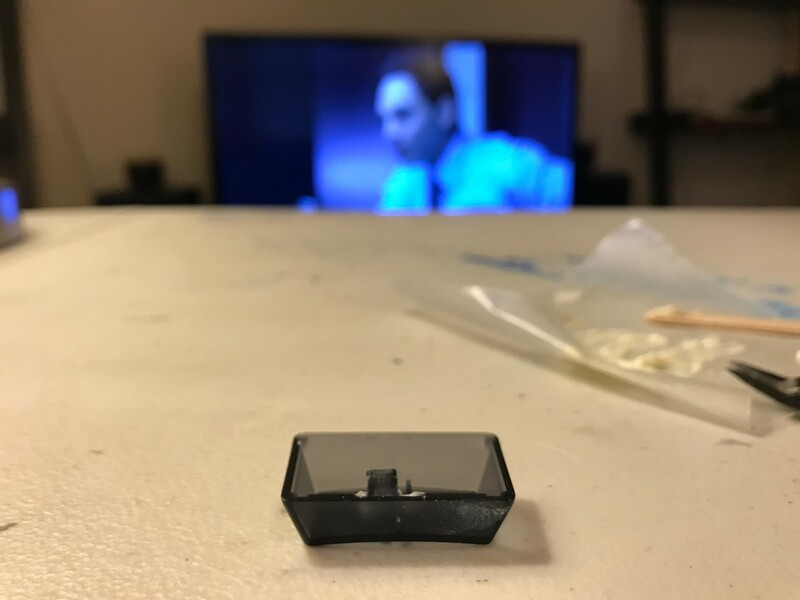 Unfortunately the plate was cut for a stepped caps lock key so I'll have to relocate the stem on that cap. The spacebar stabilizer also will not click in place so that will probably need some tweaking as well. But all in all, getting closer to the finish line. Woah! 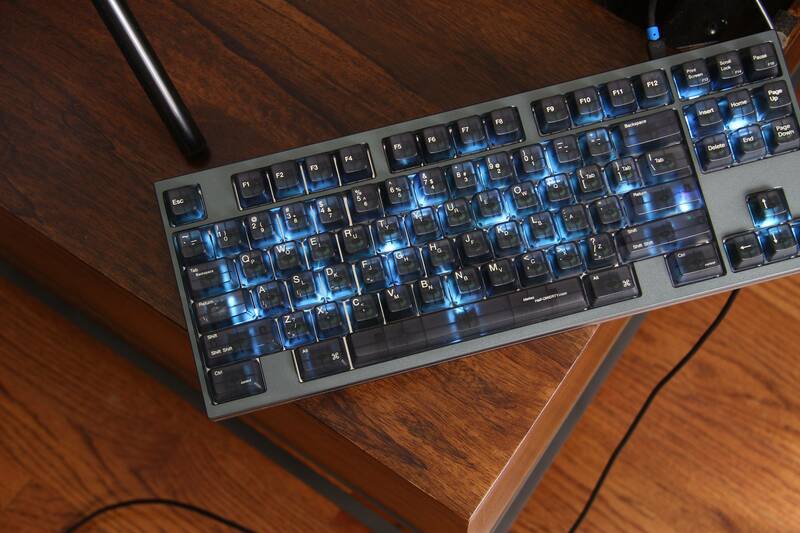 That actually looks pretty cool! I think it's neat how the translucent caps allow for seeing the slider color as well. Neat to see this, thanks! Are the holes in the PC board plated through? 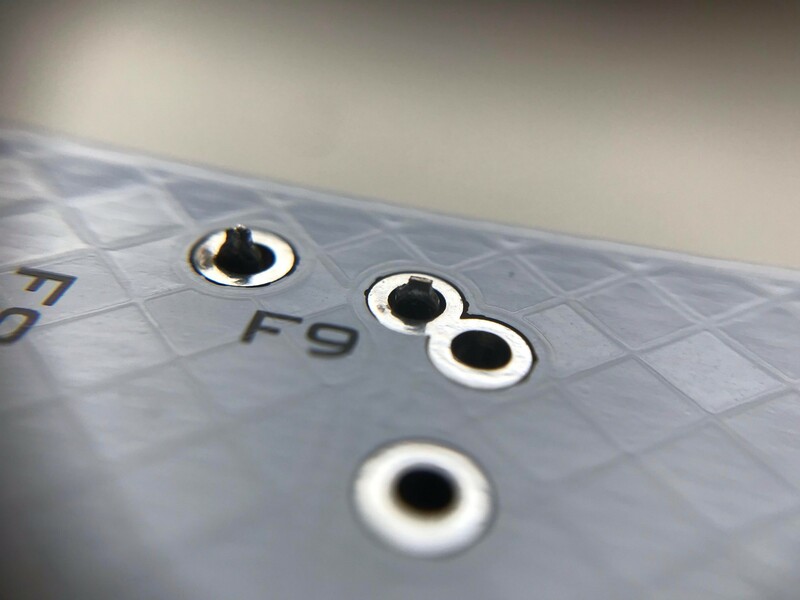 If so you'll have a good contact area for the solder to be supported and it should hold up fine for normal use. 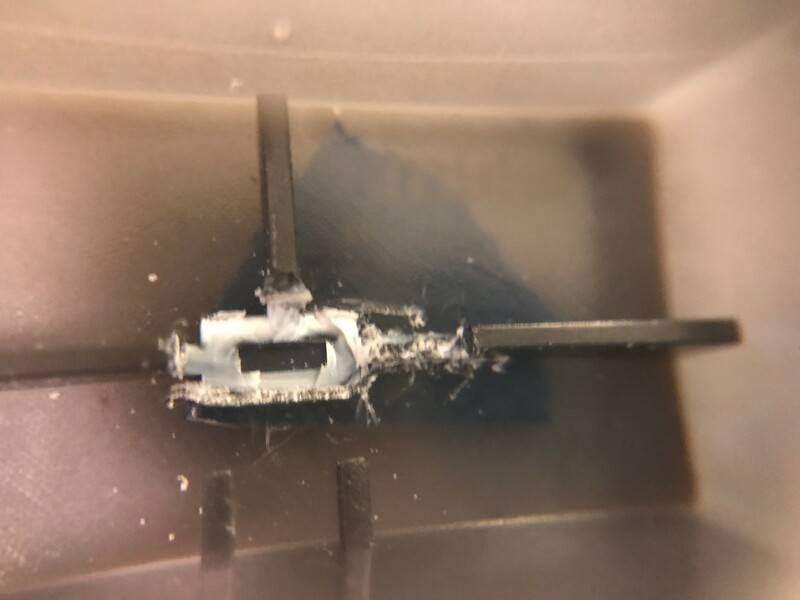 If you're really worried you can use 2 percent silver solder such as Qualitek 32521 for added strength (and conductivity). 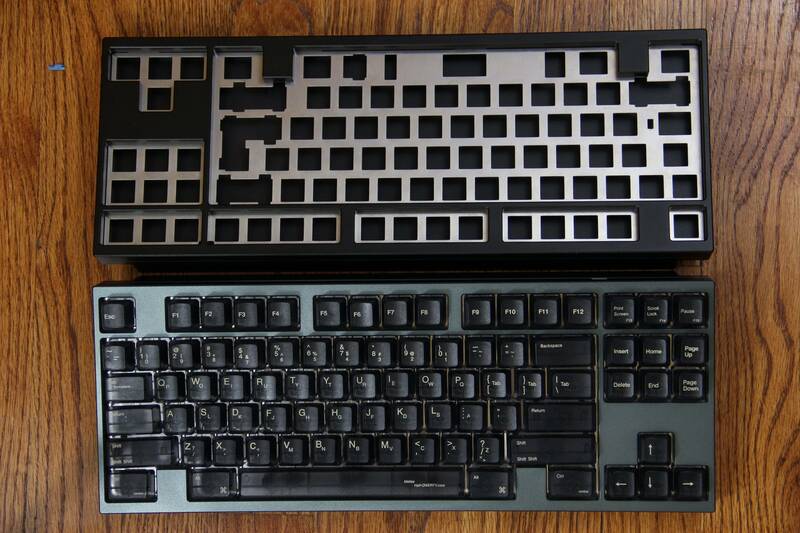 The only keyboards I've ever seen with chronic solder joint problems were Costar (Infotrac branded) boards used by auto parts stores. 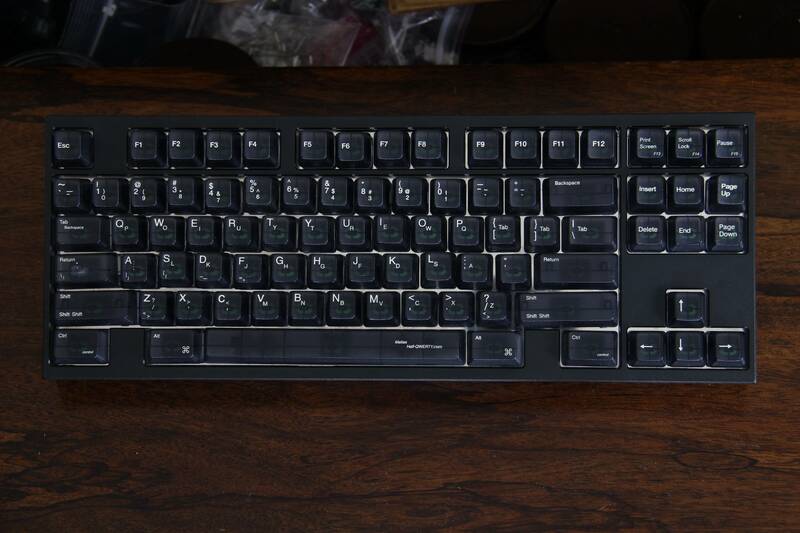 Those had white Alps SKCM switches and the heavily used keys needed to be resoldered on many of the ones that were turned in to the recycling place I worked back in the '90s. Probably from being pounded on constantly by parts store clerks rather than any inherent flaw in the design or construction. Yes they're plated through. 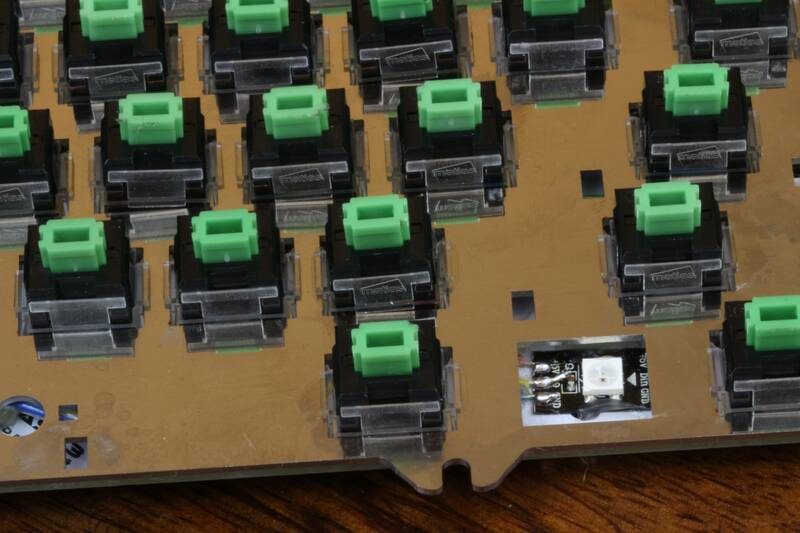 I did notice when I was soldering the switches that a good amount of solder flowed down the hole so I feel better about the durability issue I mentioned before. Stem transplant procedure performed on 31 March. And finished! Here are some photos of the final product. I actually have two of these cases right now and decided that all black would look better (and the other case would match a different project better anyways). So I switched the case half way through taking the pictures. Let me know what you think! Snacks, I think that is really cool! Great job making use of those caps. I actually kinda like the look of the lights being concentrated in certain areas, it makes a nice pattern.